Mistakes happen—one misplaced key press and suddenly your 10,000-word essay has been reduced to a blinking cursor. Don’t panic though: Whether you need to undo a single action or roll back a whole week’s worth of misguided edits to the work presentation you’re preparing, here’s how to save the day in any popular application. We’re going to focus on undoing changes inside apps here, but you might also be able to recover old versions of files from disk if you’ve got some sort of backup system in place—like File History in Windows or Time Machine on macOS. Cloud syncing services like Dropbox and Google Drive offer file version history too. We’ve written more about your various backup options here. We’re not sure exactly what percentage of the world’s computer users know this, but just in case you don’t, a tap on Ctrl+Z (in Windows) or Cmd+Z (on a Mac) is the universal digital lifesaver keyboard shortcut. It will undo your most recent action in just about every application out there. 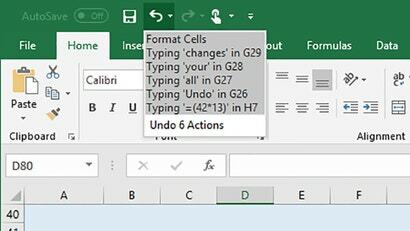 If you do suddenly wipe an entire essay or cut out the wrong person from a photograph, this keyboard shortcut will wave a magic wand and make it as if your mistake never happened. If you keep pressing Ctrl+Z (or Cmd+Z) then your actions will be undone, one at a time, in reverse chronological order—though most apps will have a limit in the interests of saving memory. It’s a basic tool, but it works, most of the time. 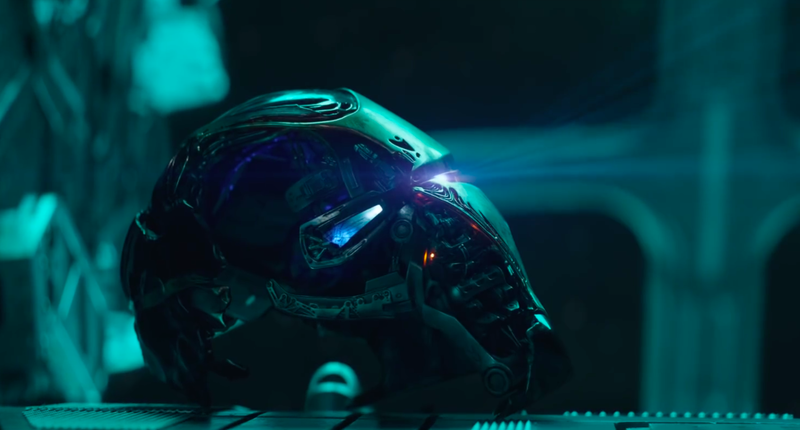 It can’t help if you’ve saved and reopened a file or rebooted your machine: The changes you make are stored in memory, and that list gets wiped when you close a file or shut down your computer. Use it as your first port of call in an emergency. You might not have realised it, but this same undo tool works in File Explorer (Windows) and Finder (macOS) as well. If you’ve renamed a file, or moved a file, or copied a file and now bitterly regret your reckless file operation, a simple tap on Ctrl+Z (or Cmd+Z) right after the event will undo the changes. 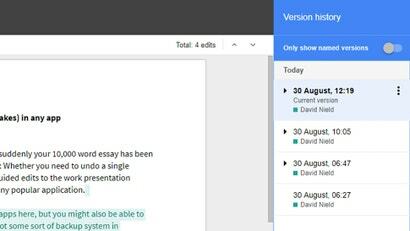 The beauty of Google Docs (and Sheets and Slides) is that your work is saved in an instant—there’s no change of your computer crashing and taking an afternoon’s work with it because your files are saved in the cloud as you go. 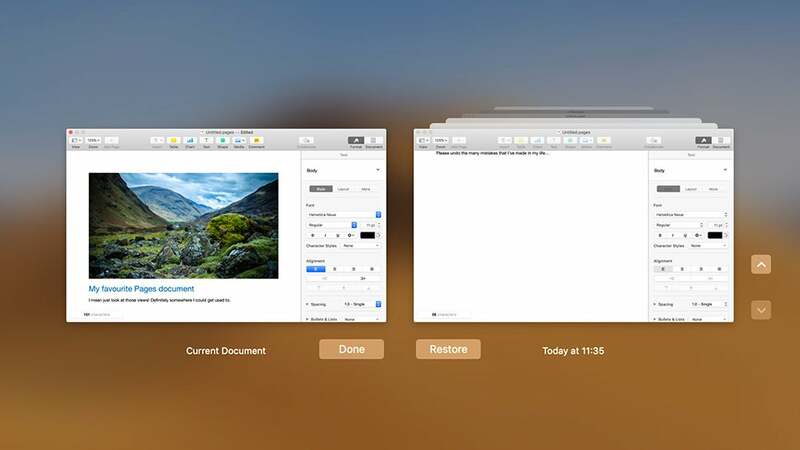 These online office apps also keep a long history of revisions you’ve made to a document, spreadsheet, or presentation (as well as the revisions other people have made if you’re collaborating on something). If hitting the undo shortcut on your keyboard isn’t enough to fix your unwanted changes, select File, Version history and See version history. On the right of the screen, you’ll see a running log of file changes; click any of the arrows to see even more saves that Docs, Sheets, or Slides has made. To preview a previous version, click on it. To apply it (and use it over the current version), click Restore this version. To make a copy of a file, rather than overwrite the current version, click the three dots next to an entry on the right, then Make a copy. On the same menu, you’ll see an option labelled Name this version. Use this feature (which is also on the File, Version history menu) when you’ve created a version of a file you think you might want to go back to. You could even create a named version every day or every week—it doesn’t really change the functionality of the feature, it just makes it easier to browse through older versions of files. Up in the top left-hand corner of the interface of Word, Excel, and PowerPoint, you’ll notice an Undo button (an arrow pointing backwards)—one click on this is the same as hitting Ctrl+Z (or Cmd+Z) on your keyboard, wiping out your most recent action in an instant. (There’s also a Redo button right next to it, for undoing undos). To go back further, keep clicking Undo (or pressing the shortcut). Click the small down arrow next to the icon to undo actions in groups, though you can’t pick out individual edits from the list without wiping everything back to that point. Your undo options are only limited by the resources on your computer, though closing and reopening a file wipes this undo list clear again. To get back to a previous version of a saved file in an Office program, it must be saved in OneDrive—this won’t work if you have it saved on another location on disk. 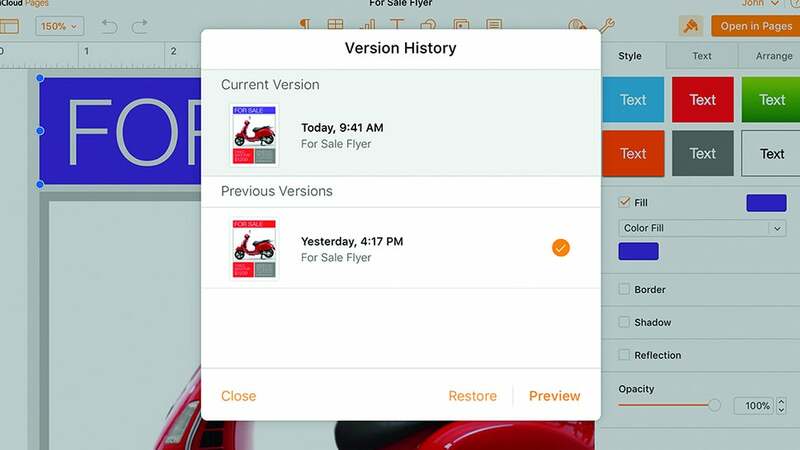 Open the file up and click File then Info, then select View and restore previous versions. Your historical edits appear on the left, and you can click on any entry to open it in a separate window. Click Restore if you want to revert to this version. You can access the same options by clicking on the file name at the top of the window, then choosing See all versions. If you’re using OneDrive and Office on the web, you can access a more rudimentary version of this feature by selecting File, Info, and Previous Versions with the file open on screen. 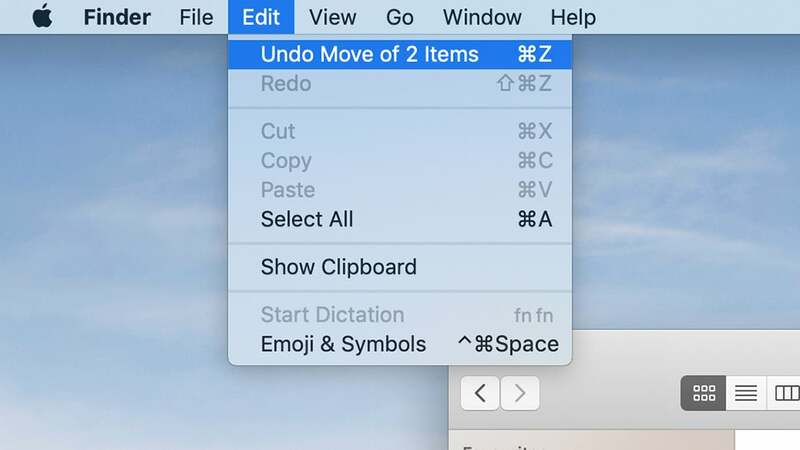 Over in Apple’s suite of office apps, you can hit Cmd+Z to undo your most recent changes, or choose the Undo option from the Edit menu. That’s just about as complex as undo gets in Pages, Numbers, and Keynote, though you can keep on choosing the undo option to keep on going back in time. These days, iWork file versions are handled in iCloud. The apps should set up revision history in iCloud by default, but to make sure it’s up and running, open the Apple menu then System Preferences. Select iCloud then Options next to iCloud Drive to make sure your iWork applications are all selected. With that done, select File, Revert To, and Browse All Versions in Pages, Numbers, or Keynote to see all the different save points you can go back to. To go back to a previous point in time, click Restore under the version to want; to create a copy rather than overwriting the current document, hold down Option then click Restore a Copy. You can do the same trick over on the iCloud web interface, though it works slightly differently. With a file open, click the Options icon (a wrench symbol), then Browse All Versions. 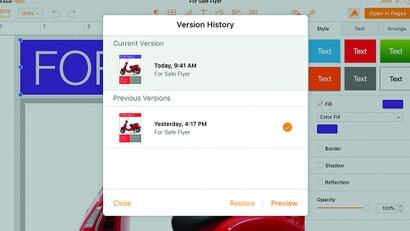 New versions are automatically created as you work on files, whether on your Mac or in the browser. 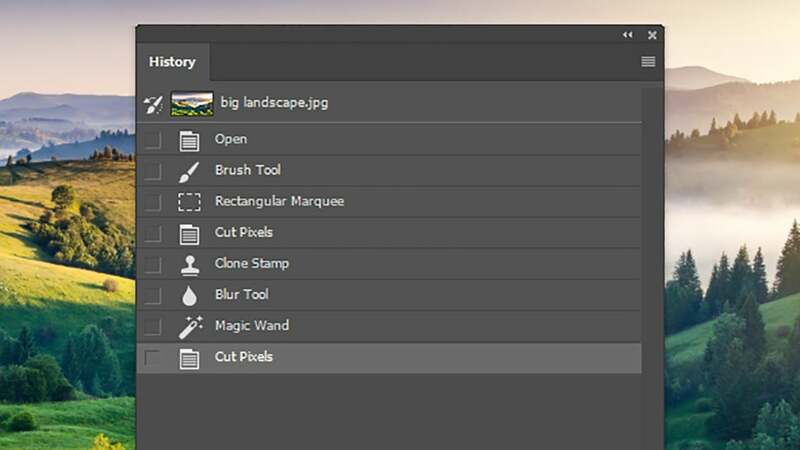 There are a host of image editors out there and almost all of them will offer some extensive undo options, just in case you should ruin a precious family memory with a badly judged swipe of a digital paintbrush. We can’t cover them all, but we’ll show you what’s available in the image editing powerhouse that is Adobe Photoshop. Again the usual Ctrl+Z and Cmd+Z keyboard shortcuts are in play, but if you add Alt (Windows) or Option (Mac) to those shortcuts, you can step much further back through the history of an image. Select View then History to bring up an image’s history on screen—everything that’s happened to it since it was last opened. You can also roll back changes by clicking on any entry in this panel. To choose how many changes Photoshop can undo, select Edit, Preferences, and Performance, then enter a number in History States. A higher number gives you more file history but also uses up more of the memory on your computer. When you close an image, its history is wiped. You can’t access older versions of a saved file in Photoshop, though you can go back to the last save on an open image with File and Revert. If you want to revert just part of your image to a previous state, Photoshop has a specific tool for this: The History Brush. Select it from the toolbox (a brush with an arrow around it), then choose the state you want to go back to by clicking the box to the left of one of the entries in the History window. Start painting to put that version of the image back in place where needed.